It is always best to have the right tool for the job. Having the right tools will help you do quality work and do it fast. Many projects requirespecialized roofing tools, but the tools below are the ones that should go with you to every job. 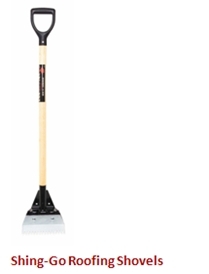 AJC Tools offers an extensive line of heavy-duty, professional grade, roofing shovels. Our Shing-Go™ line of roofing shovels each feature an original design, only available from AJC Tools, crafted to provide the greatest durability and strength for any application. Each Shing-Go™ blade is crafted from heavy-duty, tempered steel, and is available with either a smooth or serrated edge. This roofing hatchet is perfect for fast the application of a felt cap and roofing nails. It also includes a powerful, shielded magnet which is located on the striking face. 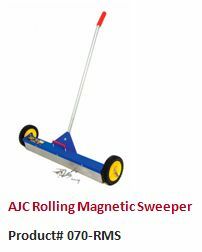 This roofing knife – The AJC Guardian Angle™ is specifically designed for cutting shingles. It comes complete with several accessories and offers great hand and knuckle protection. 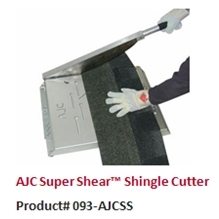 The AJC Super Shear is the best shingle cutting shear on the market. It is made from lightweight aluminum and is extremely effective at cutting a variety of materials.